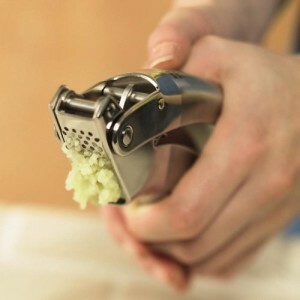 The Kuhn Rikon garlic press — the Cadillac of garlic presses? Shopping for the best garlic press can be difficult, as there are dozens of models to choose from and plenty of opinions — including those who believe that any and all garlic presses are tools of the devil! The simple truth is that mincing garlic the old-fashioned way isn’t for everyone and many of the bad experiences people have had with presses come from using cheap ones. The Kuhn Rikon Epicurean garlic press certainly isn’t cheap — with Amazon usually having the best deals on it at $36.66 — but it also solves all the problems people have with presses. 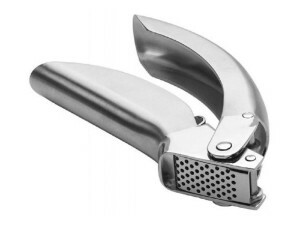 What Makes It the Best Garlic Press? It’s heavy, solid, and well-designed, with very effort required to easily crush even unpeeled cloves of garlic. Cleaning is the biggest hassle with presses but the Kuhn Rikon is designed with exactly that in mind. The sieve (the part with holes in it) hinges out for easy access and quick cleaning. 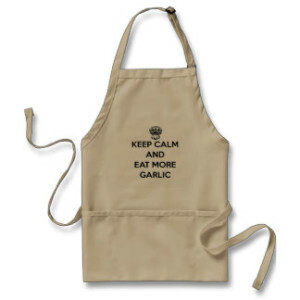 It also produces a consistent, even mince of your garlic, which can be very important for taste. Cheaper garlic presses don’t apply even pressure and the garlic (when you can painfully get it to squeeze out) often comes out in irregular-sized chunks or as juice; this can impact taste when sauteing as some pieces cook too quickly and can brown and turn bitter. That’s never an issue with the Kuhn Rikon and its solid, stainless steel construction can stand up to anything you throw at it. $36+ is definitely a lot to spend on a single-use kitchen tool but if you’re a garlic lover and often use it in cooking you’ll quickly recoup that expense. Using a chef’s knife or a microplane to prepare your garlic is just as effective but you’ll inevitably spend far more time in prep phase. They’re definitely better options when compared to cheap garlic presses that barely work and take forever to clean but they face much stiffer competition from a high-quality garlic press such as a Kuhn Rikon. But don’t just take our word on it. Check out the video below for an unbiased review by America’s Test Kitchen, where they test and cook with garlic from dozens of different garlic presses, with the Kuhn Rikon topping all of them in the end!